On Monday, May 30, 2016 from 10 a.m. to - 11:30 a.m. at the Crowne Plaza, the Muriel McQueen Fergusson Centre for Family Violence Research (MMFC) and the New Brunswick Association of Social Workers (NBASW) will host an event to launch the final report for their project entitled Rural Realities Faced by Service Providers When Helping Women Survivors of Intimate Partner Violence Navigate the Justice System. Intimate partner violence (IPV), including physical, emotional, sexual, and economic abuse, is a reality that affects the lives of many women. While women in both urban and rural areas are at risk for IPV, there are elements of rural living that may make it particularly difficult for women to seek help and for service providers to deliver needed supports. The Rural Realities project has consulted with rural service providers and survivors of IPV to produce insights into the barriers that currently make it more difficult for IPV survivor to access help and deal with criminal and family court processes. 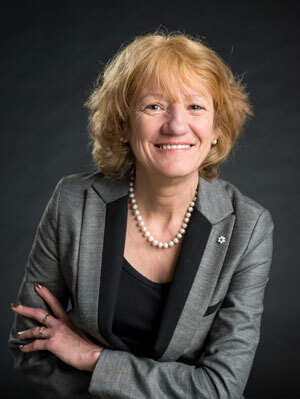 Based on focus groups held in both Francophone and Anglophone regions and including First Nations communities, our study has elaborated on key factors such as accessibility, information, and empathetic support that are known to contribute to the quality of women’s support within the justice system (Letourneau, et al 2012; Ragusa, 2013). The study presents recommendations from service providers based on their successes in building awareness of IPV in rural communities, as well as working collaboratively to support IPV survivors in their communities. The launch event will bring together rural and urban service providers, academics, and policymakers from around New Brunswick. It will provide an overview of the report and recommendations and promote discussion of the challenges encountered by service providers in rural communities to navigate the justice system.